It’s September. In Japan that means rice is being harvested across the country. It also means straw art. After the grains are harvested, rice straw (“wara” in Japanese) is left behind. 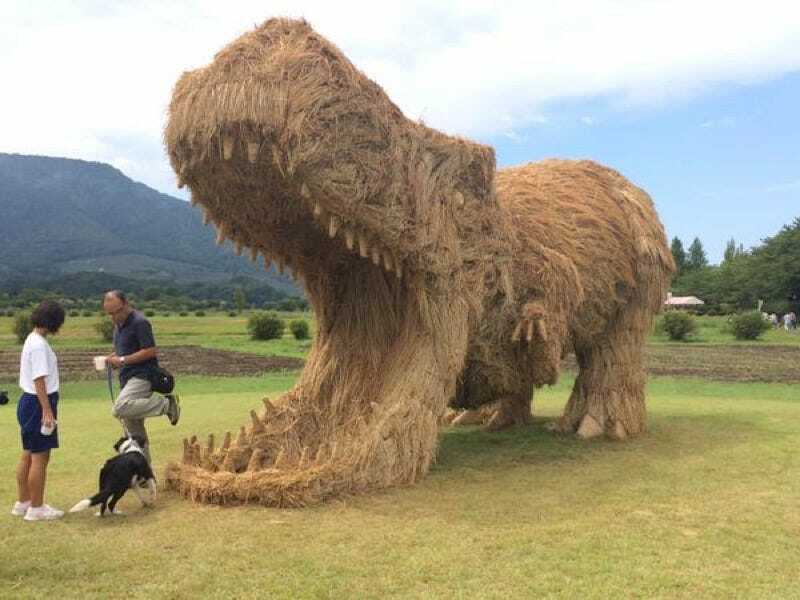 In Niigata Prefecture, however, locals have been turning that rice straw into art with a yearly Wara Art Festival. Bringing these giant beasts, not all of which are dinosaurs, to life is not easy! While not a dinosaur, this does appear to be a giant enemy crab. Twitter user agedashi0210 captures the wonderful detail that goes into each sculpture. Back in 2013, Kotaku first introduced these festivities, and this year’s straw sculptures are as impressive as ever. Maybe even more so!